the New Horizons satellite is 2/3 of the way to Pluto — considering it launched in 2006 & won’t arrive till 2015, I really hope those mission scientists have something else to do in the meantime! Mystery photo – do you know where these cinder cones are? My PowerPoint lecture notes started coming together when I taught for the first time back in 01-02. At that point, textbooks did not give you access to digital versions of their figures, so I spent quite a bit of time cruising the internet looking for appropriate pictures & diagrams. Quite a number of those original photos had sketchy to nonexistent place labels. Over the years, I’ve replaced tons of these photos with ones I’ve taken, digital figures from textbooks, and just better random images from the internet. I try hard to know where the image was taken, since the students seem to enjoy knowing that this one is from Hawaii or that one is from Mt. Etna. 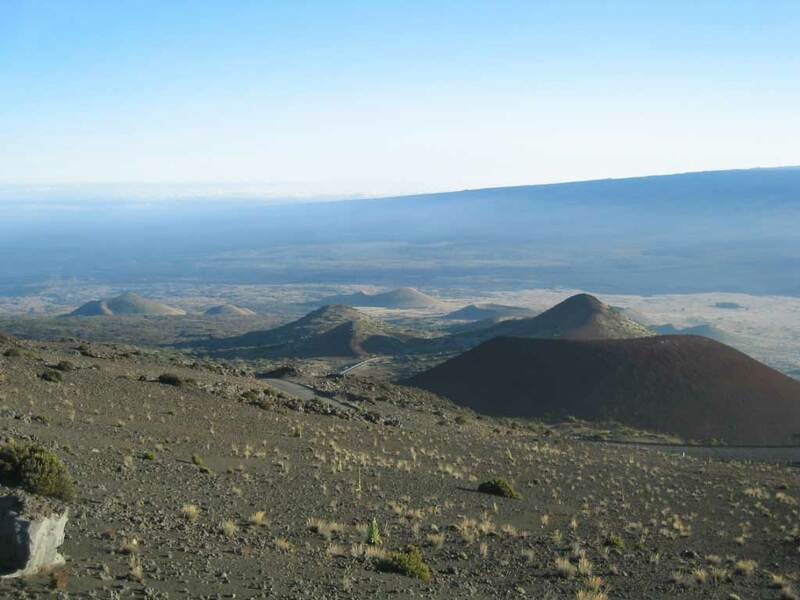 This morning, I was going through my volcanoes lecture and one of the cinder cone pictures has a comment on it of “Mauna Loa? Haleakala? Somewhere completely different?” Amazingly enough, the original image is still up on the web, but there’s no obvious label on it. I believe it used to be labeled Haleakala, but all the other pictures on the page were from the Big Island & its url has “Maun” at the end, so I was skeptical about the label. Can someone help me out? Have you seen this place “live”?